It’s software that can open, edit and save plist file under Windows system. 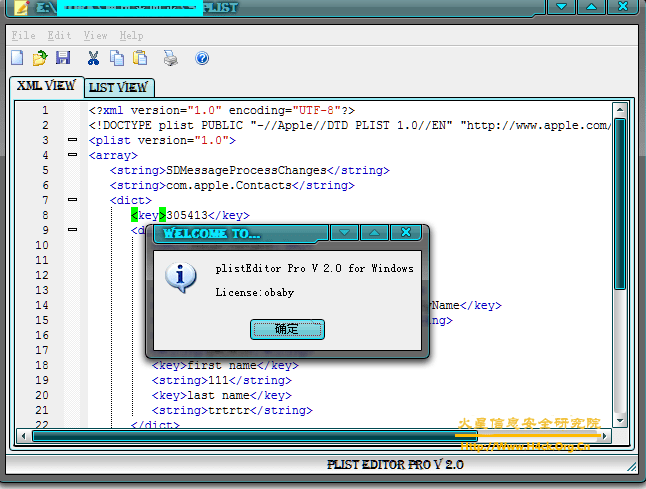 It is useful for customize your iPod Touch or iPhone on PC computer, or just want edit a plist file under Windows system. In the Mac OS X, property list files are files that store serialized objects. Property list files use the filename extension .plist, and thus are often referred to as plist files.